Causes and Remedies including Specific Stretching Exercises. Patellofemoral pain syndrome can be defined as a Retro-patellar (behind the knee cap) or Peripatellar (around the knee cap) pain, resulting from physical and biomechanical changes on the patellofemoral joint. It should be distinguished from chondromalacia, which is an actual fraying and damage of the articular cartilage of the patella. If you suffer from patellofemoral pain syndrome or are seeking to prevent its occurrence it is important to follow the information in this article. In addition, adding a few simple stretches to your fitness program will also help. To get started on a safe and effective stretching routine that’s just right for you, check out the Ultimate Guide to Stretching & Flexibility. People that have PPS have anterior knee pain that typically occurs with activity and often worsens when going down steps or hills. The pain can occur with sitting for prolonged periods of time, and affect one or both knees at the same time. At this time there is a lack of consensus regarding the cause and treatment of the syndrome. To understand PPS we first need to understand the anatomy. The bones that make up the knee joint are the Femur, Tibia, Fibula and Patella. The Femur has a groove that the patella sets in which is named the patella groove also known as the patellofemoral groove. 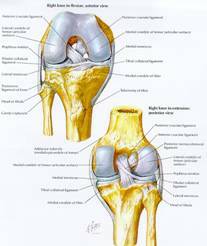 It is lined with an articular cartilage, the same as the back of the patella. Ligaments hold the knee together and keep the bones from moving; the ligaments of the knee are; Anterior cruciate ligament, Posterior cruciate ligament, Medial collateral ligament, Lateral collateral ligament, Transverse ligament, and the ligament of Wrisberg and the medial and lateral meniscus. The medial and lateral meniscus also works as a shock absorber for the femur and the tibia so that they don’t collapse onto each other. The muscles that affect PPS are the Quadriceps, Hamstrings, and Planterflexion muscles of the lower leg. The muscles of the Quadriceps are the Rectus Femoris, Vastus Intermedius, Vastus Lateralis, Vastus Medialis; the muscles of the Hamstrings are the Biceps Femoris, Semitendinosus, and Semimembranosus. The Planterflexion muscles are the Soleus and Gastrocnemius. 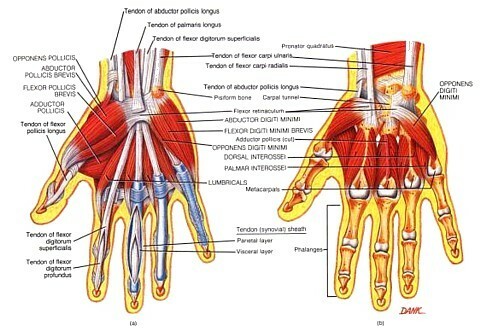 All these muscle play a role in PPS and the treatment of the syndrome. The patella moves within the patellofemoral grove of the femur. Several forces act on the patella to provide stability and keep it tracking properly. One of the common misconceptions is that the patella only moves in an up and down direction. But in fact, it tilts and rotates, so there are various points of contact between the undersurface of the patella and the femur. Contact at any of these areas, sometimes combined with improper tracking of the patella that is often not seen by the eye, is one of the causes of patellofemoral pain syndrome. Many theories have been proposed to explain patellofemoral pain. 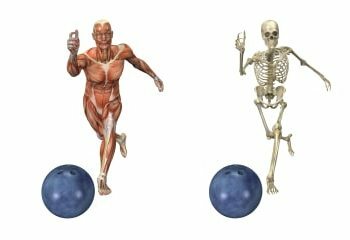 These include biomechanical, muscular and overuse theories. Literature suggests that the etiology of patellofemoral pain syndrome is multifactorial. Because bending the knee increases the pressure between the patella and various point of the femur, patellofemoral pain syndrome is often classified as an overuse injury. However, a more appropriate term may be “overload,” because the syndrome can also affect inactive people to. Repeated weight bearing impact may be a contributing factor, particularly in runners. Steps, hills and uneven surfaces tend to make patellofemoral pain worse. After the pain has developed, even sitting for long periods can be painful, because of the extra pressure between the patella and the femur during knee flexion. When looking at Biomechanical problems, there has been more then one factor identified as a primary cause of patellofemoral pain. Flat foot and foot pronation are often used interchangeably. 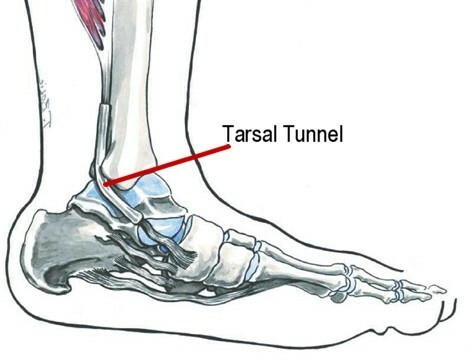 Flat foot causes compensatory internal rotation of the tibia or femur that upsets the patellofemoral mechanism. Arch supports or custom orthotics can help with the internal rotation of the tibia, in patients with patellofemoral pain due to flat feet. Normal foot compared to high arch foot provides less cushioning for the leg when it strikes the ground. This places more stress on the patellofemoral mechanism, particularly when a person is running. Proper footwear, such as running shoes with extra cushioning and an arch support can be helpful. Muscular causes; the potential muscular cause of patellofemoral pain can be divided into “weakness” and “inflexibility.” Weakness of the quadriceps muscles is the most often area of concern. However each potential cause should be evaluated and addressed appropriately. Quadriceps muscles hold the patella in the patellofemoral groove, if one of the muscles should become weaker then the others the patella will track to the strong side and changing the Q angle. When the Q angle is changed it can cause the patella to move out of the patellofemoral groove, causing retro-patellar pain or pain under the kneecap. The quadriceps muscles include the vastus medialis, vastus medialis obliquus, vastus intermedius, vastus lateralis and the rectus femoris. Weakness of any of these muscles may adversely affect the patellofemoral mechanism. The muscles that seem to become weaker then the others quadriceps muscles are the vastus medialis and vastus medialis obliquus. Weakness of the VMO (vastus medialis obliquus) allows the patella to track too far laterally. The VMO is difficult to isolate, and may need specific strengthening exercises to strengthen the muscle. 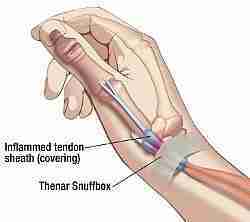 Inflexibility (tight muscles) can also be a problem that affects the patellofemoral mechanism. The iliotibial band can place excessive lateral force on the patella and can externally rotate the tibia that can upset the balance of the patellofemoral mechanism. Hamstring muscles we know flex the knee, but tight hamstrings can place more posterior force on the knee, which causes pressure between the patella and the femur to increase. Adductor muscles play a roll in the stability of the pelvis, which can cause an external rotation that may result in compensatory foot pronation. A simple stretch can improve muscular efficiency. Tight Calve muscles can lead to compensatory foot pronation, and like the hamstrings they can increase the posterior force on the knee. As you can see simple stretching can help to alleviate the pain from patellofemoral pain syndrome and other muscle skeletal pains. And with proper stretching before and after any exercise program or sport you can help to alleviate PPS before it starts. What if you have PPS, what can you do? Footwear, make sure that the footwear you have chosen, is the proper footwear for the sport that you are playing or the exercise that you are doing. There are running shoes, walking shoes, and jumping shoes. The quality and age of the footwear are more important then the brand name. And make sure that you change out your footwear when they get worn. If you develop knee pain during your exercise program you should stop. Remember it’s ok to have some discomfort but never pain. If you have pain in your knees you should see a doctor before starting any exercise program, or sporting event. Remember the doctor can determine if you have a tendon injury, patellofemoral pain syndrome, chondromyalacia patella or an ligament injury, and prescribe medications called “NSAIDS” (non steroidal anti-inflammatory drugs) to help with the pain and swelling that come with a lot of these injuries. Always take your medications as prescribed by your doctor, for some of these medications can cause abdominal irritation. You should always stretch before and after any sporting event or any exercise program. This will keep you from getting injuries, and help to prevent you from developing patellofemoral pain syndrome. Quadriceps strengthening: isometrics. Position yourself as shown. Hold your right leg straight for 10 to 20 seconds and then relax. Do the exercise 5 to 10 times. Quadriceps strengthening: straight leg lifts. Position yourself as shown. Raise your right leg several inches and hold it up for 5 to 10 seconds. Then lower your leg to the floor slowly over a few seconds. Do the exercise 5 to 10 times. Iliotibial band and buttock stretch (right side shown). Position yourself as shown, twist your trunk to the right and use your left arm to “push” your right leg. You should fell the stretch in your right buttock and the outer part of your right thigh. Hold the stretch for 20 to 30 seconds. Do the exercise 5 to 10 times, and then switch to the other side. Iliotibial band stretch (left side shown). Position yourself as shown, with your right leg crossed in front of your left leg. Hold your hands together and move them toward the floor. You should feel a stretch in the outer part of you left thigh. Hold the stretch for 20 to 30 seconds. Do the exercise 5 to 10 times, and then switch to the other side. Hamstring stretch. This exercise is done on your back. Position yourself on you r back, and bend your left knee. Grip you thigh with your hands to keep the thigh steady. Straighten your left leg in the air until you feel a stretch. Hold the stretch for 20 to 30 seconds. Do the exercise 5 to 10 times, and then move to the other leg. Hip abductor strengthening (left side shown, front and side views). Position yourself as shown, standing on your left leg with the knee slightly bent. Slowly raise your right foot about 30 degrees, hold for a few seconds and then slowly lower the foot and straighten both legs. Do the exercise 10 times. Don’t let your pelvis tilt (be crooked) and don’t let your knees turn inward during bending make sure that you always keep your knee and feet pointing straight forward. Hip and buttock stretch (left side shown). Position yourself as shown, with your left leg over your right leg, and place your hands over your left knee. Pull the knee slightly toward you while sitting up very straight. Hold the position for 20 seconds and then rest for several seconds. Do the exercise 6 times. This informative article was written by Scott Moore (SMT, EP, C-PT, CBIS). Contact Scott at; scott.moore@healthonecares.com.